The AHRECS senior consultants have been drafting policies, resources and forms for the research sector since the late 1980s. Since then, our senior consultants have served on Australian committees producing national material for grant funding and regulatory agencies, professional societies and learned academies. This work has related to human research ethics, research integrity and has covered other research governance areas such as Defence Export Controls and the RU GDPR. 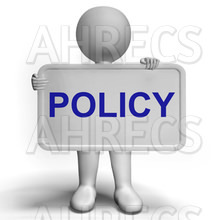 AHRECS has produced material for universities, district health bodies, State and Federal government departments, commercial entities and non-government organisations. Three of our senior consultants have been involved in the drafting and amending of chapters and provisions of the National Statement on Ethical Conduct in Human Research. All our drafting has been delivered on time and on budget. The cost of drafting will depend upon the volume and complexity of the work and the matters which a client wishes to cover. We can provide a fixed price quotation on request.